2 Bedroom Maisonette For Sale in Oxted for Asking Price £325,000. This unique, character, ground floor apartment is situated in a bold corner position in the heart of Old Oxted. 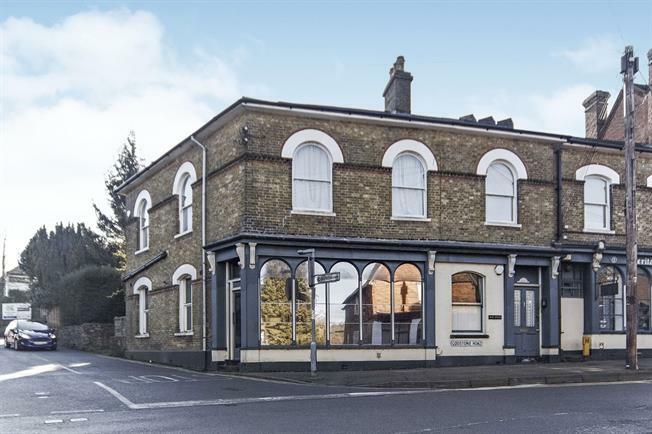 The property has been sympathetically converted from a former shop and now features spacious rooms with high ceilings, large windows and other character features. The property benefits from two good sized, double bedrooms as well as a large family bathroom with four piece suite. The lounge features a character fireplace, full height window with shutter and useful under stair storage cupboard. The side aspect kitchen diner is a particular feature of the property and measures 14'9 x 10' and is fitted with a range of units. An internal viewing is recommended to fully appreciate all that the property offers. Approached from the front via an exceptionally large front door, with window to front fitted with shutters. Feature open fireplace. Useful under stairs storage cupboard. With doors to all rooms and access to loft storage area. Front aspect double bedroom of irregular shape. A particular feature of the property with a range of base and wall units with complementary work surfaces over and space for table and chairs. Window to the side. Spacious family bathroom with four piece suite comprising panel enclosed bath low level WC shower cubicle and wash hand basin.